There’s a deep pleasure in getting to know someone or somewhere intimately, and that’s how I feel reading Jack Ridl. What’s more, he seems to know where his talents lie, as shown in the book’s epigrammatic opening poem, “Write to Your Unknown Friends.” We’re given a friend’s access to his mind’s eye—and it’s such an attentive eye, page after page revealing the magic in the quotidian. Most of the poems are set in his house or backyard, which could be my house or backyard, if only I’d stop to notice the wonder of it. And after reading this book, for a while, I do. That joy alone is worth the cover price. Ridl’s poem from Rattle, “Hardship in a Nice Place,” is a good example, but the poems in this book are all that strong—which, at over 150 pages, is saying something. The first line of the first poem in Carl Adamshick’s second collection, Saint Friend, may name-check Kenneth Koch, but the transparency and lightness of touch to this Walt Whitman Award winner’s lyrics don’t feel particularly New York School. His occasional lists—“Autumn sweaters, mittens, scarves, hats,/ crepuscular Missouri, and a leaf/ in my sister’s hand.”—situate Oregon-based Adamshick well outside the hip boroughs of NYC, as do the two extended poems that predominate this collection. “Pacific,” a monologue in the voice of Amelia Earhart, contemplates loss on multiple levels. “Near Real Time” recounts and refracts a difficult February day-by-day. Saint Friend’s shorter lyrics are likewise welcomed alternatives to overly familiar MFA exercises and experiments for their own sake. We care because it’s clear Adamshick has taken great care. Kevin Young writes big books. His 2008 Dear Darkness contains 196 pages of poetry. His new Book of Hours comes close to that with 181. Where other poets would have published several smaller volumes, Young packs them all into one cover, giving him room to thoroughly excavate a subject, such as the death of his father and the birth of his new son. His poems have a way of staggering images and syntax—a technique that’s emphasized with heavily enjambed lines, contrasts and stanza breaks that turn phrases on their angles. Young especially takes pleasure in sounds. His rhythms and rhymes are not formally arraigned—he makes up his own rules—reminding the reader that poetry can still be music in the right hands. The poet examines how we occupy many roles at once—being a child, a parent, subordinate to others or in a position of authority—and how we move between them. Rhythmically and linguistically beautiful and inventive—a great collection. 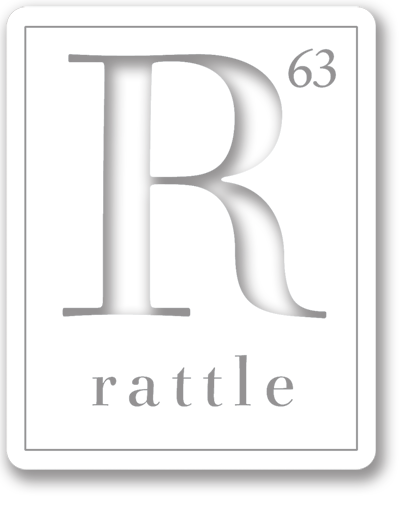 Note: Rattle‘s MicroReviews are intended to be honest poetry book recommendations. If you have no relationship to the author of the book you’d like to recommend, you can send 75 – 125 words about why you enjoyed the book through our Submittable portal. Simple acquaintance to the author is not disqualifying, but we cannot accept reviews from family, co-workers, present or former students, or even casual friends (if you met the poet once at a reading, that’s fine; if you stay in touch, that’s not). If any significant relationship is discovered, the review will be deleted and the reviewer will no longer be allowed to contribute reviews. If you’re unsure about whether your relationship to the author is disqualifying, just ask when you submit the review. Reviews are added regularly to the MicroReviews page, and posted for archival at the end of every quarter.